My last experience of NYX eyeshadows was the Dream Catcher Palette in Golden Horizons, and it was pretty awful. The colour payoff was minimal and what little pigment it gave was patchy and uneven. It was a shame as the packaging was incredibly dreamy (I love the secret compartment underneath) and the combination of shades had so much potential. 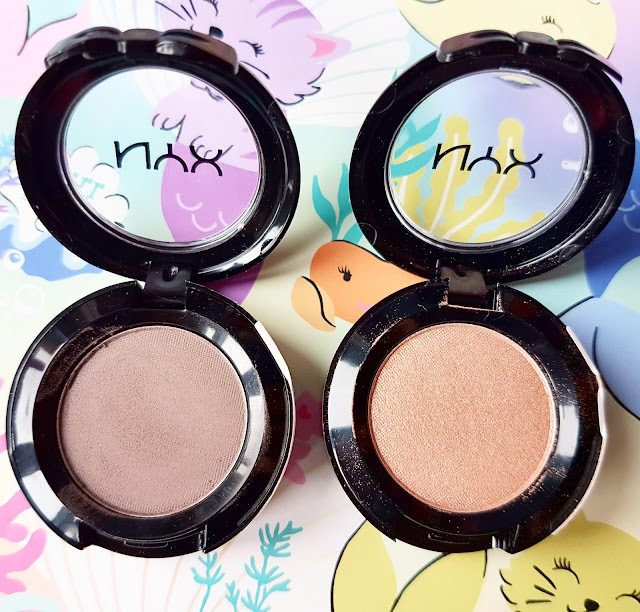 I had intended to pick up a few of their new metallic Prismatic Eye Shadows but they were sold out, so instead I picked up two of the NYX Hot Singles in HS19 Innocent and HS15 Over the Taupe. The NYX Hot Singles are available in over 88 shades which range from basic matte beige to electrifying blue, there is definitely something for everyone in this collection. They retail for £3.50 each and contain 1.5g of product. The packaging is almost identical to my MAC eyeshadows except for the plastic bow clasp on the side. NYX claim that each shade is loaded with intense pigment with a unique formulation that is easy to build and blend. Their texture is silky but both give a substantial amount of fallout. HS15 Over the Taupe is a greyish brown with a very subtle purple undertones. The online swatch claims that it is a satin finish but it’s definitely more matte. HS19 Innocent is a beautiful peachy gold shimmer. 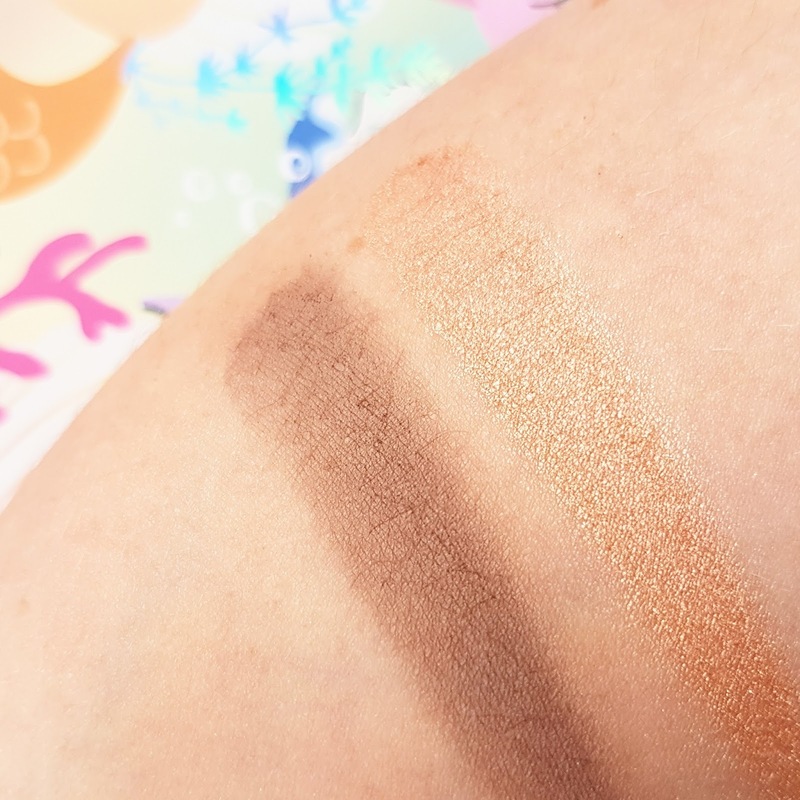 Over the Taupe is a little chalky and uneven so requires a lot more blending than Innocent, it’s also not as pigmented and not as long lasting. Innocent is definitely the standout shade for me. When packed onto the centre of the eye or near the tear duct it gives a really beautiful warm glow, whereas Over the Taupe is very dull and a little on the chalky side. 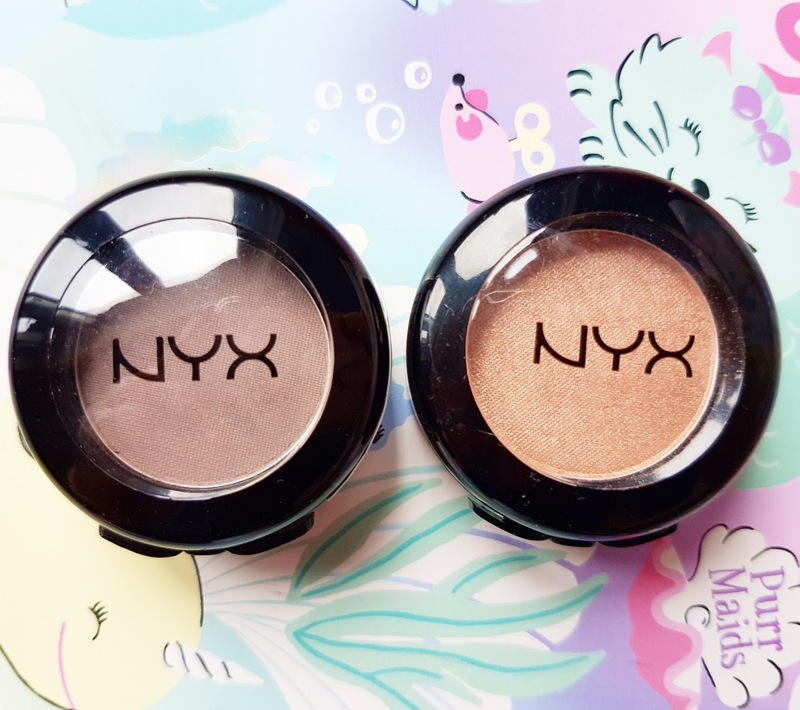 When it comes to matte browns I would probably reach for my Bencos Natural Single Eye Shadow or my MAC Satin Taupe over this one as their formulas are far more buttery, easier to blend and longer lasting. Over the Taupe tends to fade slightly throughout the day and is nothing particularly special, however, Innocent is a lovely shade that I will get a lot of use from. Have you tried any shades from the NYX Hot Singles Eye Shadow collection? "Caudalie Deep Cleansing Exfoliating Cream | A Must-Have for Oily Skin"
"A Walk in the Woods | The Soohu Baby Sling by We Made Me"